In our latest photo roundup of reality stars, we have Sonja Morgan and a slew of Bravolebrities, including many of her Real Housewives of New York co-stars like Luann de Lesseps and Dorinda Medley, attending a holiday party at The Magic Hour in New York City. Returning Real Housewives of New Jersey star Danielle Staub attended the ‘Wigs and Wishes by Martino Cartier presents One Night With The Stars’ event. Andy Cohen strikes a pose with Lisa Rinna‘s daughter, Delilah Belle Hamlin, at an UGG event in NYC. Also spotted out: Kim Kardashian at The Tot holiday pop-up celebration at Laduree at the Grove in L.A.
You’ll also find Vanderpump Rules stars, Real Housewives of Dallas stars and more down below in the gallery! Check them out and tell us who wins best dressed of the reality star roundup. Deck the halls… the reality stars have been busy decorating their homes for the holidays and showing off the results on social media (because, of course). Look below for more pics from former Real Housewives of Beverly Hills star Brandi Glanville, Mariah’s World star Mariah Carey, Real Housewives of Orange County‘s Shannon Beador, Teresa Giudice, Million Dollar Listing New York star Fredrik Eklund, Pauly D and Aubrey O’Day, and more. Halloween is nearly behind us now (bring on the Christmas decorations and music!) but before we close it out, let’s take a look at some of the best costumes worn by the reality stars this year! Everyone got in the Halloween spirit this year and attended parties over the weekend all the way through last night. We’ve rounded up some of the best ones from celebs like Lisa Rinna, Joanna Krupa, Lisa Vanderpump, Meghan Edmonds, Ariana Madix, Chelsea Houska and so many more! Take a look below! It is so hard to keep up with what’s going on between Pauly D and Aubrey O’Day. Or at the very least, it’s pretty difficult to keep track of all the rumors that surround their relationship. The Famously Single stars have had a PDA-heavy relationship on social media and now there is speculation that they are engaged since Aubrey has been photographed rocking a pretty big ring. Recently, there were rumors that Pauly D broke up with Aubrey without her even knowing while she was across the pond filming Celebrity Big Brother in the UK. I have no idea whether that rumor was actually true, but just based on their Instagram accounts, it really looks like these two are having a fun time together. So whether they broke up, had a break, or none of the above, they seem happy now. Happy Monday! We have an all new photo gallery for you to kick off the week! 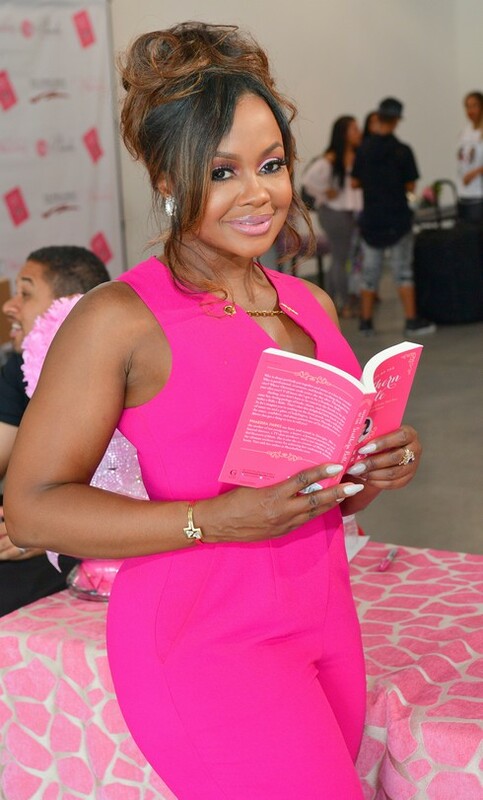 Phaedra Parks attended Pop Up for a Purpose Fundraiser at B Loft Atlanta, accompanied by co-stars Porsha Williams and Sheree Whitfield. A slew of reality stars attended the MTV VMAs last night: Farrah Abraham (in an interesting red carpet look…), pregnant Jenelle Evans, Snooki & Jwoww, and more. Did you tune in for the show last night? When I heard they were giving Kanye West several minutes to do and say whatever he wanted, I decided to pass on that ranty mess. I heard Beyonce was phenomenal. Also below you’ll find hot new pics from Sonja Morgan, Maddie Ziegler, Ramona Singer, Renee Graziano and more!